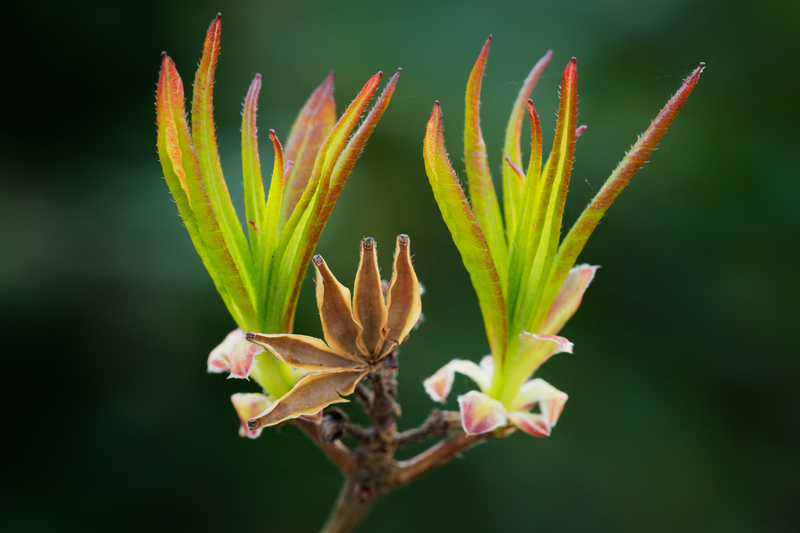 The emerging new growth of this Exbury Azalea surrounds and seems to protect the old growth from last year. I moved around to get the best position of the old growth between the towering new growth. Post processing was also simple. I added a little contrast and structure to the leaves as well as darkened the background using NIK Viveza. As a final touch, I lightened the center and darkened the edges with NIK Color Efex Pro. This entry was posted in Flora, Our Garden and tagged Flora, Fountainville, garden on May 2, 2013 by kgrafphoto.